Home stager income is the amount of money earned for providing property staging services to clients as a professional real estate enhancement specialist. This monetary figure will be largely dependent on many different factors and can range from making a living to making a killing. Statistics show that the income earning potential for property stagers is quite high when compared to other professions, but the actual amount earned is still a wide range. 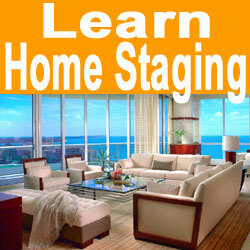 This discussion centers on the prospective earnings that can be expected when working in the home staging profession. Does the stager work as an independent contractor or consultant, or do they work as a salaried or commission-based employee for a home staging company? Salaried employees will typically earn more right out of the gate, but will not be able to keep up with the earnings potential of successful independent contractors in the long run. Where does the stager work? 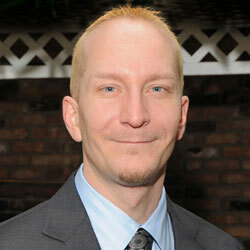 The geographic location will determine how much the market will pay for staging services. Major urban markets are usually more profitable than small rural markets. Suburbs of major cities can be highly profitable locations to work. Does the stager work by the hour or by the job? How efficient are they? Can they expect constant recommendations from past clients? How good is their work? What services does the stager offer and how do they bill for these services? Is there a fixed cost or a separate fee for each service? Being that the home staging profession is rather new, income statistics are not incredibly reliable, since the industry is still growing and evolving at a rapid pace. One thing is for sure; there is potential to earn big for those who excel and really work hard. Additionally, considering that home staging training is fast and relatively inexpensive, the income generated is huge. Just remember that home staging is certainly not a license to print money. It is a fast-paced career path with many challenges and only the best of the best will become truly financially rich from their work. Home staging offers far more benefits than just a solid income. It offers creativity, control over your work schedule and flexible job options. Staging is a skill you can take with you anywhere in the world and you can work in the industry, or for yourself, for as long or as little as you desire. The career path is very easily adapted to a wide range of lifestyles and preferences. Just be sure to know that you will be the main factor in determining your own success or failure. Stagers who make it do so because they work. Stagers who fail do so because they provided themselves with the option for failure. This is truly a profession where you get what you put in.